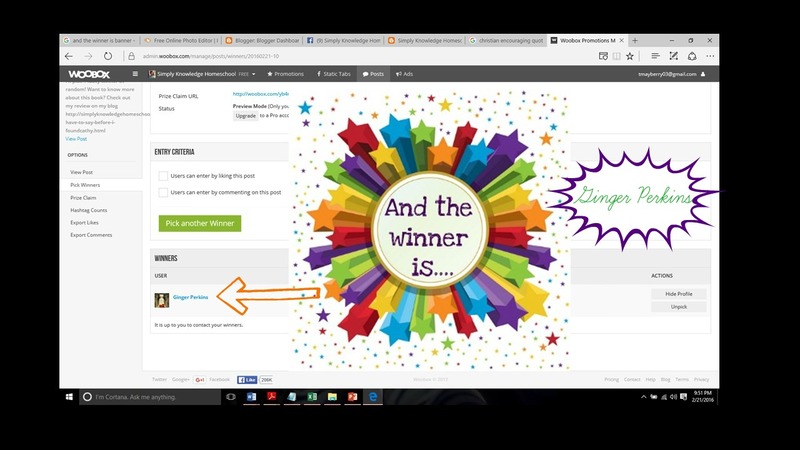 Congratulations to GINGER PERKINS! 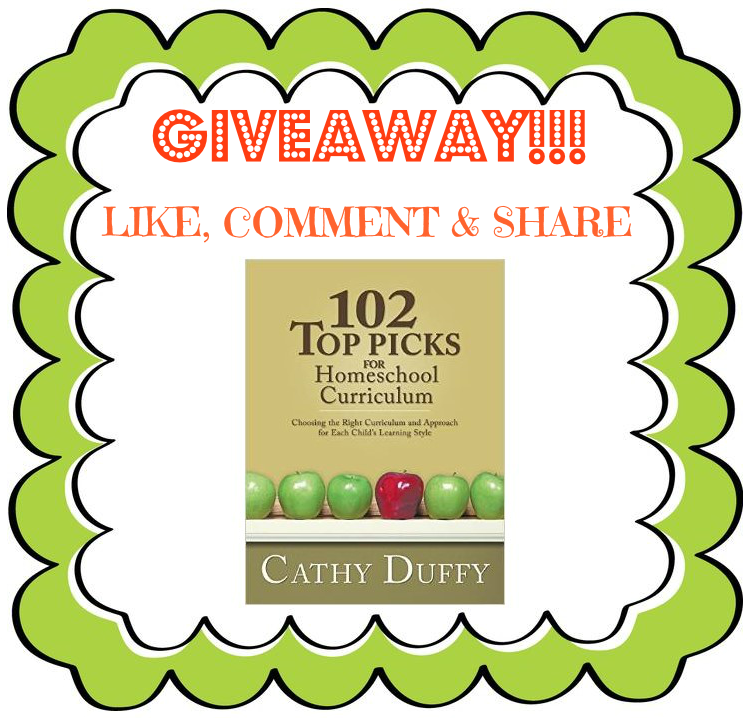 You are the WINNER of my Facebook giveaway for your own copy of Cathy Duffy's "102 Top Picks For Homeschool Curriculum". Please, contact me within 24 hours to claim your prize with your mailing address.